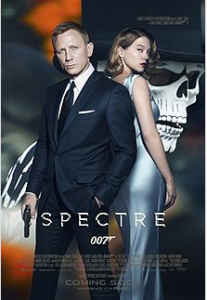 Spectre is a James Bond movie. It is a high track thriller movie. One doesn’t feel the thrill missing even for a moment . Srectre is an action packed movie. James bond is on the mission to eliminate the evil elements. Learning: Bond’s character is shown to be very positive and determined , who is unafraid of facing the worst. Taken 3 is a movie with intense relationships. The father is shown to be very caring and loving father. The husband and wife live separately but, still respect each other and bonded over their daughter. They give enough space to each other but, still trust each other. There is a very mature relationship between all three of them i.e. father, mother and the daughter. Though all them are living separately physically and managing their lives independently yet they love and trust each other immensely. The bond they share is beyond boundaries and at a higher plane than acceptable and understandable by our society. Air Force One is a thriller movie in which the American President’s plane Air Force One is hijacked by the extremists. This is the story of courage and responsible behaviour shown by the President amidst the worst circumstances leading to safe release of himself , his family and most people on the crew .